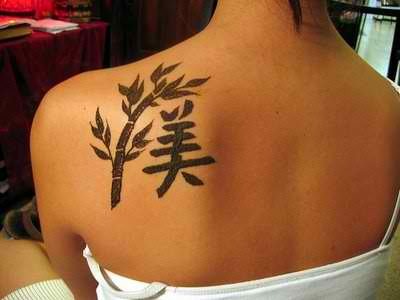 The Japanese Kanji Tattoos are among the popular tattoo designs. These Japanese symbols were actually adopted from Chinese characters or hanzi. The scripts first came to Japan centuries ago because they were embedded in mirrors, coins, vases, and other decorative items from China. This has evolved over time and today, there are noteworthy differences in Chinese and Japanese characters. A single Kanji can mean one or more different words. It is said that there may be up to ten thousand kanji symbols in existence. Later on, the Japanese government cut down the number of characters and simplified their forms. Today, just knowing around a thousand of these can cover 90 percent of the frequently used words. The popularity of Kanji as a style for writing tattoo designs was seen to be slowly increasing these past years. This is probably because Kanji tattoos are generally small, thus will cover a minimal area. A simple Kanji character can represent common English words such as love, peace, and strength. One can also get an entire sentence tattooed with only a single symbol to express the message. For people who are about to get inked for the first time, a Kanji tattoo is suitable because it is small, would cover a small area, and would mean shorter exposure to the pain associated with tattooing. Another reason for the popularity of these tattoos is that they appear mystifying since most people cannot read Japanese characters. Before getting a Japanese Kanji tattoo, it would be best to do a comprehensive research. This is to avoid ending up with a tattoo that has a message that you do not wish to convey. There are a number of instances in which people have misused these symbols. Aside from doing meticulous research, going to a reputable tattoo artist who has a mastery of Kanji tattoos is essential.